1. I think I'm hitting a wall with the Marion KAL. I really want to be done with the body, but I can't make myself knit it. I keep getting distracted by other stuff. 2. Renovation is still going. Stuff got moved to the storage unit Saturday, so I really just need to clean up after myself and get some furniture moved (and buy a rug, I keep forgetting about that). 3. I barely knit anything this weekend-all day Saturday was spent alternating between getting mice out of the garage, being sick, and moving stuff to the storage unit. Then Sunday was spent baking and being sick. Hopefully I'm feeling better now and can get some real knitting done today. 4. Havina is off the needles and just waiting for a blocking. She's going to be pretty big, though, and I don't think she'll fit on on the bed, so I might have to get creative. 5. There's a baby coming in six weeks that doesn't have a blanket yet. Whoops. 6. But I have a vacation in two weeks. Nine glorious days without having to go to my day job. Just me, the dogs, a couple books, an impressive Netflix queue, and a whole lot of yarn. I have an almost unhealthy obsession with garden gnomes. I love them. I have two of my own, and I keep finding occasions to give gnomes to my mum (she's the one with a garden to put them in, after all). This hat has been in my queue for ages-I fell in love with it right away because it combines my two loves: hipsters and gnomes. I cast this on last month during that little startitis/instant gratification phase I was going through. I'd hoped to have enough of the Knit Picks Swish to knit the whole thing, but I ran out just after the decreases started. You can see where the color changes a bit from me switching yarns, but I don't really mind it so much. Plus, the other yarns have way less drape, so the point really maintains its integrity. The room renovation is going well, if much more slowly than I'd hoped. The bookshelves are pretty much all set, the furniture's all moved (except for the chair that needs to come up from the basement), and everything that's going to storage has been identified (Crap. I still need to call around for quotes and get a storage unit). I have a pile of stuff to send to the thrift store, and my closet is so clean it's practically unrecognizable. On the knitting front, Havina is going well, if rather slowly. It has almost certainly fallen into the knitting black hole, and I'm afraid I'll never get to where I can start the border. Plus, I have my Marion KAL to work on, a pair of socks on the needles, and a new skein of Malabrigo Rasta in Archangel that I want to play with. Never mind all the design projects I should be working on. And Xmas knitting, that needs to get started too. This was my cinema knitting for most of the summer, and when I was in the Black Hills in August I took it with me and finished it up in an afternoon. I absolutely love it. I love the fabric that I got with the thicker yarn, I love the wide brim, I love the amount of slouch, I love the colors, everything. This one's kind of embarrassing. I got really obsessed with the Eleventh Hour Blanket a couple of Xmases ago, and wanted to make a whole bunch for everyone. I got so burned out by this one that I decided it would never be finished and I shoved it in the back of my closet and tried to forget about it. Fast forward to the Great Comforter Search of 2014 and I found this again, and I realized that it was much farther along than I remembered. I figured I had about an hour left to go on it, and that it was unreasonable to keep it around as a WIP. Guys, it only needed FOUR ROWS. Once I actually sat down to knit, I was done in less than 20 minutes, including bind off and weaving in ends. Like I said, embarrassing. But I hardly remember knitting the rest of it, it was so long ago, so it's like I just knit AN ENTIRE BLANKET in 20 MINUTES. Mods: I left off the i-cord border. I didn't want to do something that fiddly, I lost or already used the yarn I'd gotten for a border, and since it's just for me, I don't feel bad leaving it off. 1. Things are a little hectic here at La Casa Wayward right now. I moved in with my parents temporarily after I finished college, and it looks like it's a lot less temporary than we planned (for reference, I've lived here over 2 years now). Basically, I can't afford to live on my own, and I probably won't be able to for several more years. It's also probably a good idea for me not to live alone for some health reasons, and for other health reasons it's a better idea for me to live with people that are aware of all my stuff and can help keep an eye on me. The biggest problem I've faced as a result of this is working on redefining what being successful means for me and for people in my generation, and I'll almost certainly touch more on that later. Anyway, as a result of my continued cohabitation with my family, I'm finally doing a complete rehaul of my bedroom to make it more functional as a studio/office space as well as my primary living space, and stuff is everywhere right now. I'm hoping that everything will get done this week (except a new rug because those are expensive) and life will be a little more normal soon. 2. I'm working away on the Marion KAL and I'm loving it so far. No pictures really, given the general chaos I just discussed, but I did already manage to miscross a cable rather spectacularly and spent an hour this afternoon dropping and re-knitting 4 stitches over 22 rows. 3. Havina is so much better on the bigger needles. Right now I'm just about back to where I was when I frogged it the first time, and I haven't gotten bored or run into trouble with it this go-round yet. 4. I really don't have much else for you-the room re-haul is taking up most of my life and I haven't had time to take any knitting pictures for you. But I promise I have quite a few things lined up and in the works to show you once I have space to spread work out a little more, and in the meantime I have some FOs that I haven't gotten to blogging yet. I really like this color, and I think the cables will look really nice in it. Now I just need to print off the pattern, save a backup copy to my phone (less likely to lose that one), swatch, and wait until Wednesday. 2. Which won't be hard because I'm going to be busy the next few days! Anemone and I have a tradition where the weekend before my birthday I drive up to the city to see her and we have lunch and hang out and get into shenanigans. That'll take up almost all of tomorrow. 3. And if I'm not here tomorrow, I need to bake brownies today. 4. I need to check my gluten-free baking book and see what I need to make carrot cake for Tuesday. I also need to find a good recipe for cream cheese frosting, if my book doesn't have one. 5. 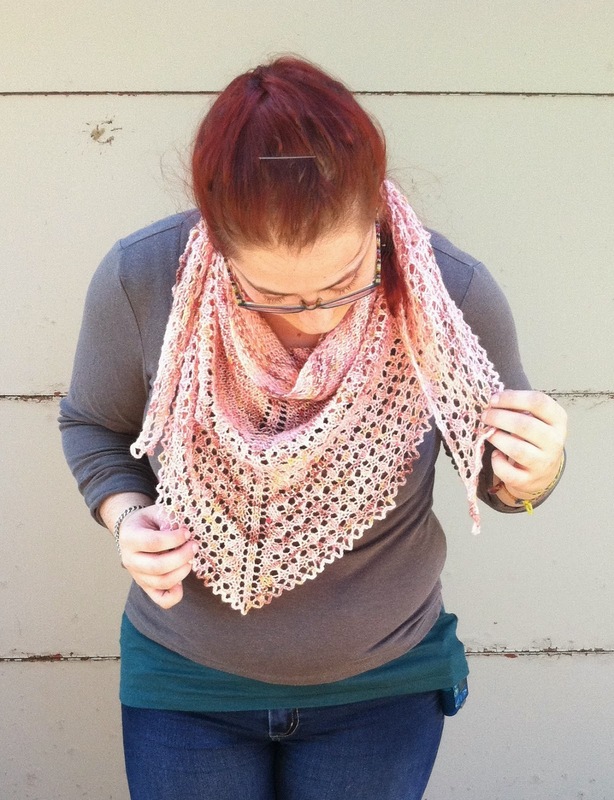 Speaking of Tuesday, that's the last day to get 20% off either Peony or Epidemic (or both!) with coupon code "HB24"
Again, the color is crazy difficult to photograph. It's kind of a camel-y tan, and I'll have to find something that coordinates with it. 7. I think that's everything I have for you guys right now, so I'm going to start the brownies and see if I can find the right size needles to swatch for Marion. Ella my darling, Ella my love, you are everything I wanted in a summer cardigan and more. You are light enough to wear even on warmer days, and you go with almost everything I own. We ran into some troubles along the way. My inability to read patterns through and my proclivity for knitting with dark beverages at hand definitely gave us a run for our money. But through everything you were a joy to knit. Yarn: Red Heart Classic Crochet Thread, Size 10 "Natural"
I have small feet. They're oddly shaped, and difficult to fit, but they are not large. I know this. Apparently I have trouble remembering how small my feet are. I remember that they're wide, and stubby, and have high arches, but not that they're a couple sizes below average. I got this book for Easter in 2012. I love this book, and it you ever knit socks, or ever want to knit socks, or just want to think deep thoughts about knitting socks, you need to read this book. Anyway, I devoured this book. I read every page, and then since I'd never done toe-up socks before I decided to knit Darjeeling, by Cat Bordhi. I knit a few inches, and then put them aside until I could sit down with the instructions to do the heel shaping. I picked it up a few days ago, and spent an entire day knitting the heel shaping-increases and decreases. I got the whole foot done, and as I was knitting I thought to myself, "this looks a little big." But I decided that since I was following the instructions exactly and I'd never done toe-up socks before, that I'd keep going and see if it worked itself out. I was charting new territory, and I was fearless. I got halfway through the heel shaping and thought again, "yes, these are definitely going to be too big." I decided to accommodate by knitting the small heel on an otherwise medium sock. "This should work," I thought, and I felt that I was being very clever. The sock is a full inch too long. On top of that, it's got almost an inch of positive ease around the circumference of my foot. I have to rip it back and start over again. I'm frustrated, because these have been on the needles for so long, but I want to do work that I'm proud of, which means that after a bit of a timeout and a drink, it will need to be redone. I am so excited to have this pattern ready for you! 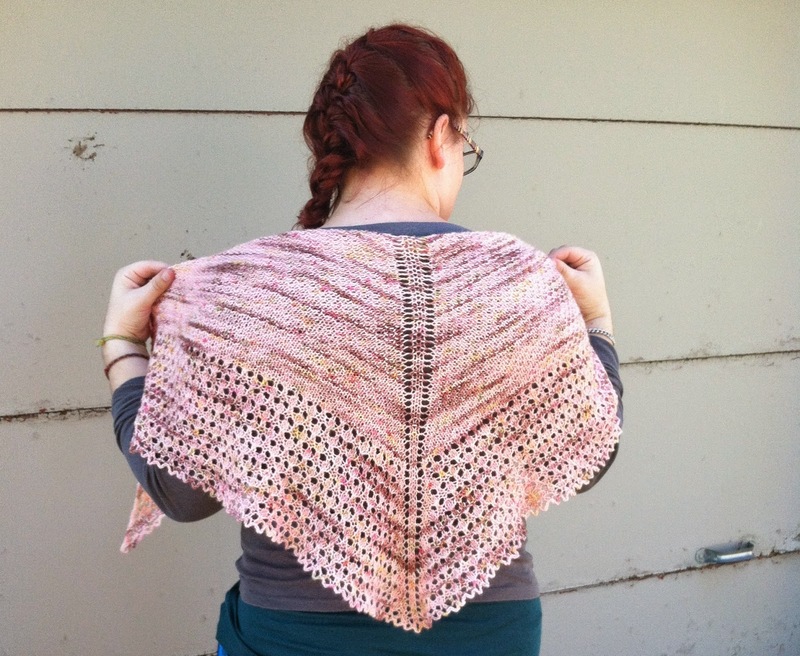 Peony is a lightweight texture and lace shawl. I think it's absolutely beautiful, and it was such a fun knit. I also have a treat for everyone! 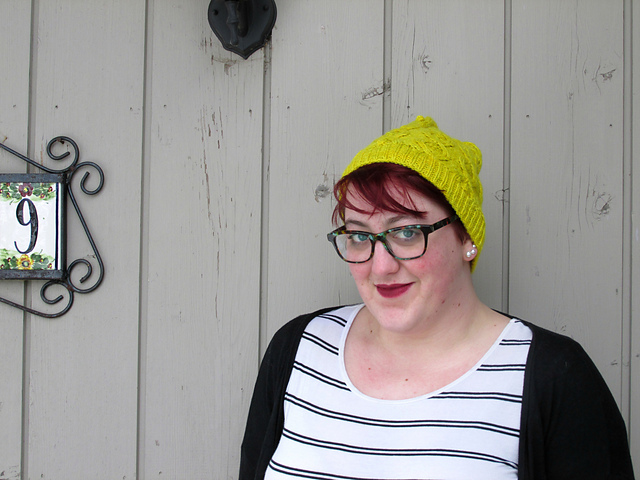 In celebration of my new pattern, and since my birthday is next week, get 20% off any of my for-sale patterns in my Ravelry store with coupon code "HB24." The code is good through September 9 at 11:59pm, Central Standard Time.